Wholesale double sided satin ribbon in Australia. Home > Wholesale ribbons, elastic and craft supplies > Wholesale ribbons > Wholesale double sided satin ribbon. 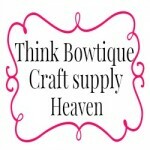 Think Bowtique your supplier of wholesale double sided satin ribbon at wholesale prices in Australia.